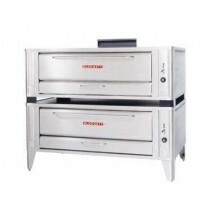 Pizza deck ovens are a popular way to bake large volumes of pizza that come out crispy and tasty every time. 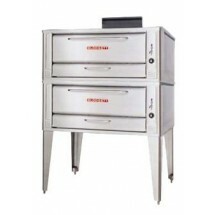 The stone deck found in pizza deck ovens cook the pizza to an even crisp that customers prefer. Shop TigerChef for single deck, double deck and high deck pizza ovens from Montague, Blodgett and others, at great prices. 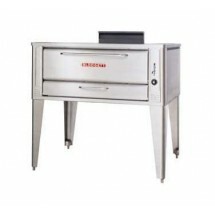 Blodgett 961P BASE Pizza Oven Sold As: 1 ea You're pre-approved for a cash advance! Blodgett 911P SINGLE 51" Single Pizza Deck Oven Sold As: 1 ea You're pre-approved for a cash advance! Blodgett 961P SINGLE 60" Single Pizza Deck Oven Sold As: 1 ea You're pre-approved for a cash advance! Montague 13P-1 Single 8" High Deck 41-1/2" Wide Pizza Oven Sold As: 1 ea You're pre-approved for a cash advance! Blodgett 1048 SINGLE 48" Gas Pizza Deck Oven Sold As: 1 ea You're pre-approved for a cash advance! 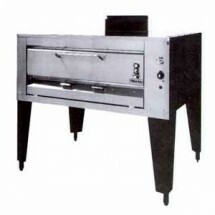 Blodgett 1048 ADDL 48" Gas Pizza Deck Oven Sold As: 1 ea You're pre-approved for a cash advance! Blodgett 1060 SINGLE Gas Pizza Single Deck Oven Sold As: 1 ea You're pre-approved for a cash advance! Blodgett 1060 ADDL Gas Pizza Deck Oven Sold As: 1 ea You're pre-approved for a cash advance! 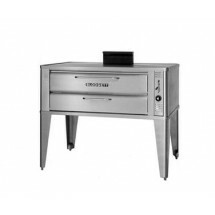 Montague 14P-1 Single Deck Gas Pizza Oven 48-1/2" x 36" Sold As: 1 ea You're pre-approved for a cash advance! Montague 15P-1 Legend Single Hearth Deck Gas Pizza Oven Sold As: 1 ea You're pre-approved for a cash advance! Blodgett 911P DOUBLE 33" Gas Pizza Deck Oven Sold As: 1 ea You're pre-approved for a cash advance! 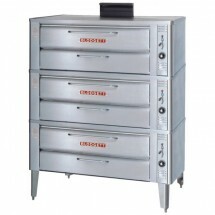 Blodgett 961P DOUBLE 42" Gas Double Pizza Deck Oven Sold As: 1 ea You're pre-approved for a cash advance! 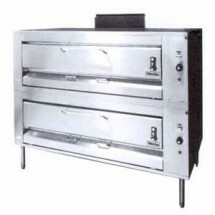 Montague 23P-2 Double 8" High Deck Gas Pizza Oven Sold As: 1 ea You're pre-approved for a cash advance! 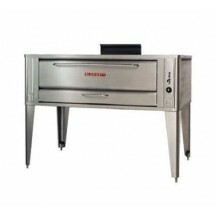 Blodgett 1048 DOUBLE 48" Gas Double Pizza Deck Oven Sold As: 1 ea You're pre-approved for a cash advance! 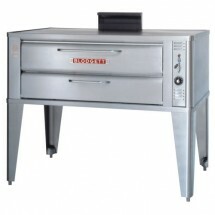 Blodgett 1060 DOUBLE 60" Gas Pizza Deck Oven Sold As: 1 ea You're pre-approved for a cash advance! Blodgett 911P TRIPLE 33" Gas Pizza Deck Oven Sold As: 1 ea You're pre-approved for a cash advance! 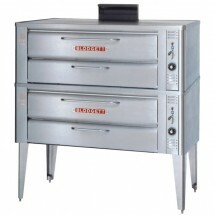 Montague 24P-2 Double 8" High Deck Gas Pizza Oven Sold As: 1 ea You're pre-approved for a cash advance! 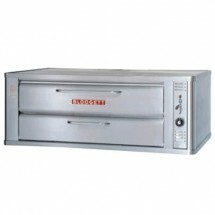 Montague 25P-2 Double 8" High Deck Gas Pizza Oven Sold As: 1 ea You're pre-approved for a cash advance!